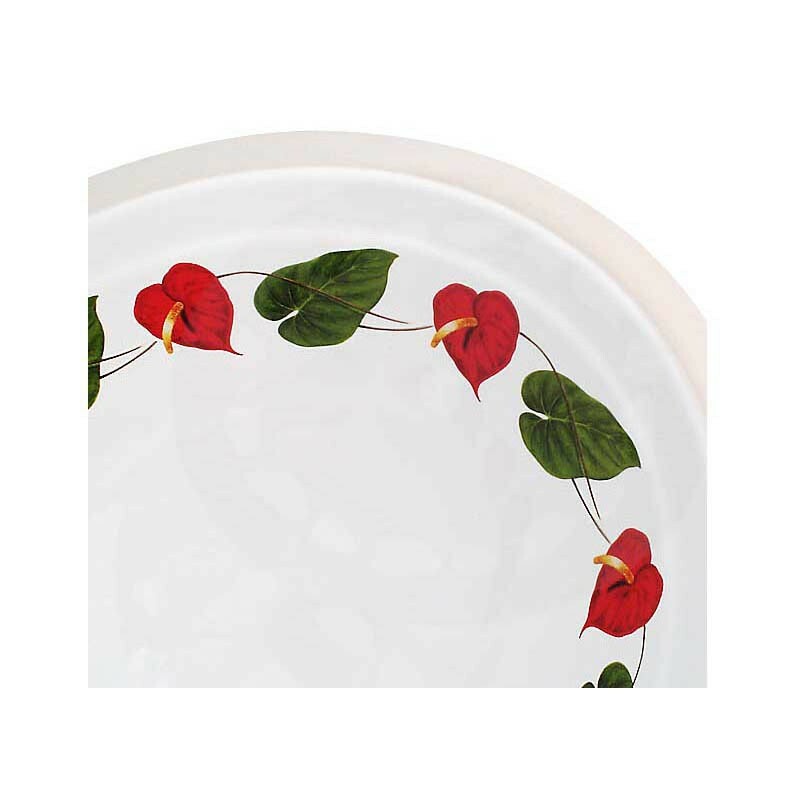 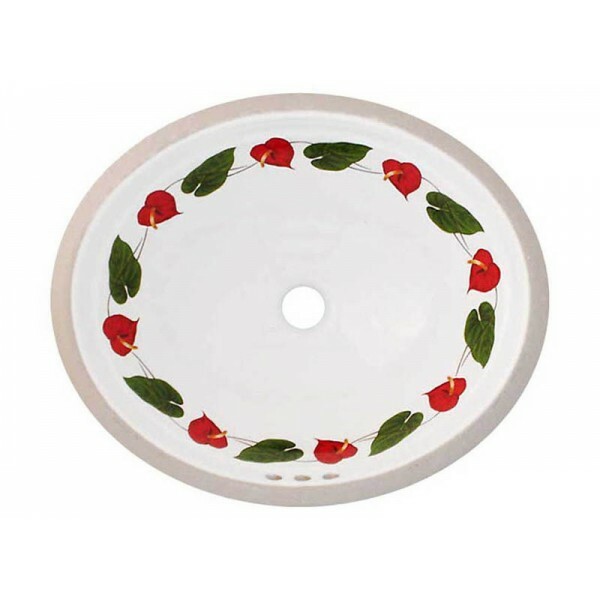 Bright red Anthurium flowers painted with yellow centers and dark green leaves arranged to create a border on the basin. Shown on a white 17-1/4” x 14” Kohler Bancroft undermount. Can be adapted to most fixtures. Visit the Fixture Choices page for options.